Our powerful and unique software has been designed from the ground up to be easily tailored for companies across a wide swath of industries, giving us a strong advantage over our narrow-market and high-deployment cost competitors. 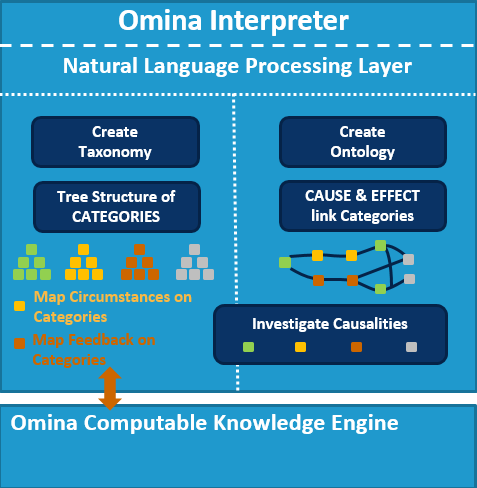 Omina Technologies has created a revolutionary deep learning full-stack machine learning platform. 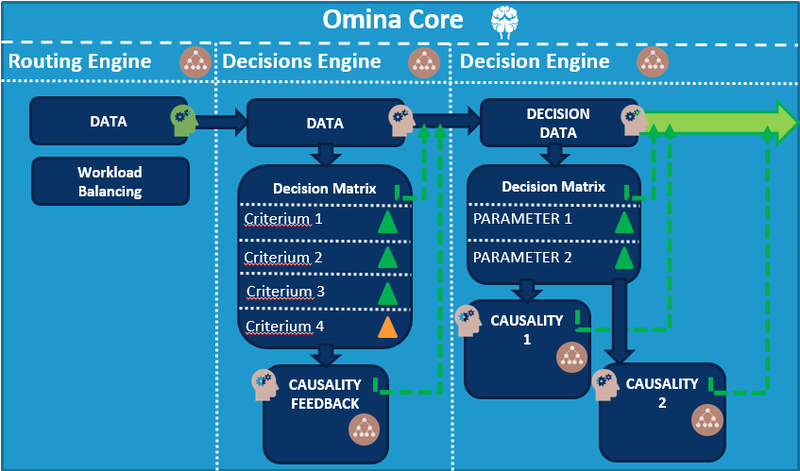 Our solution can analyze massive amounts of data, both structured and unstructured and make complex decisions and predictions faster and more reliably than a human. By using our technology companies can phase out or re-utilize expensive resources in the decision making chain and organically build up a knowledge base around complex processes. Decision making will become less expensive, more accurate and more transparent for any company that implements our solution. Imagine a financial institution crafting trading strategies that are faster to adjust to market conditions and more accurate than their competitors because they use ALL data available, not just the data that is in exactly the right form for their current technology. Imagine a logistics company trimming the time it takes to make a supply chain forecast from a month, to less than a minute. Imagine a government agency with complex, difficult to document, and worker intensive workflows. Now imagine them operating faster and more reliably with far fewer people in the decision chain. And as time changes, new data can be fed into the system to make workflow changes in near real-time helping the agency operate at full potential at all times. Imagine machines on an automobile assembly line talking and learning from each other and making real-time decisions that increase productivity. Imagine Artificial Network Technology that not only mimics cognitive skills to function like the human brain and is so sophisticated it can be fed into bio-material and can be re-inserted into the human system to compensate for brain trauma.